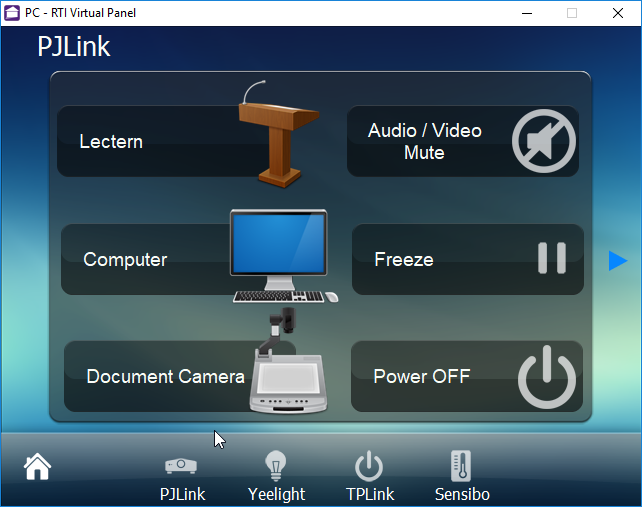 PJLink is a new unified standard designed to make communication interfaces and communication protocols that have been different from one projector manufacturer to another uniform and common. 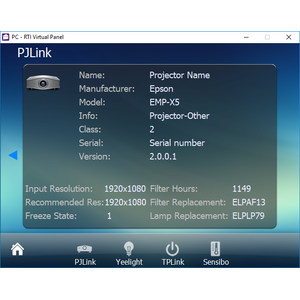 Several Japanese manufacturers have adopted the PJLink standard for their projectors. 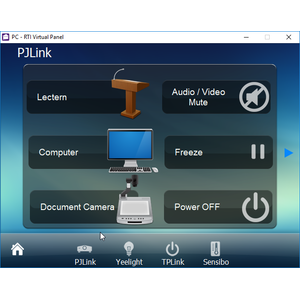 With this PJLink driver for RTI you can control multiple projectors via IP with 2 way feedback. Supported manufacturers include (but not limited to) BenQ, Mitsubishi Electric, InFocus, NEC, Casio, Canon, Sharp, Sky, Seiko Epson, Sony, Panasonic, Hitachi and Ricoh. What manufacturers use the PJLink standard? What projectors will this work on? 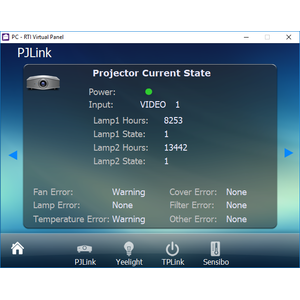 The PJLink website has a list of projectors that make/models. Please see link below. Note that this is not a definitive list. What is Class 1 and Class 2? 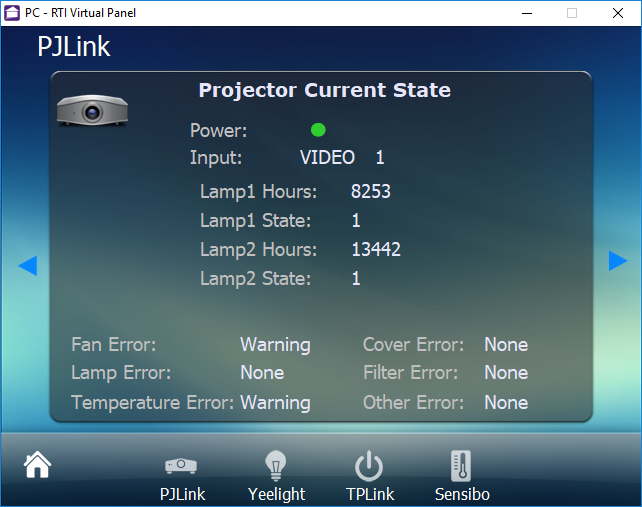 Projectors support different versions of the protocol. Our driver supports both Class 1 and Class 2. Class 2 is an expansion of the Class 1 PJLink protocol which provides the following additional functionality. IP Control means that you can eliminate IR buds from your projector and also make ultra long cable runs unlike RS232. 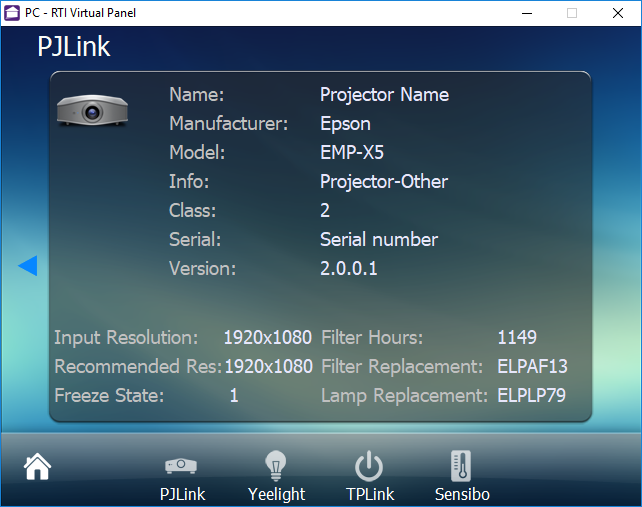 Get two way feedback on important information such as lamp hours, filter usage time and various projector errors, notify yourself when your clients projector has a fault or requires a replacement filter / lamp. Proactively support your customers!